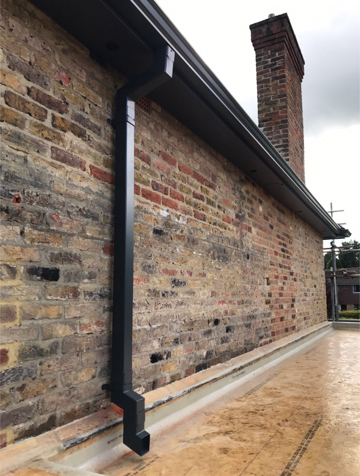 We installed these aluminium gutters with downpipes in black on this traditional property based in Buckinghamshire. 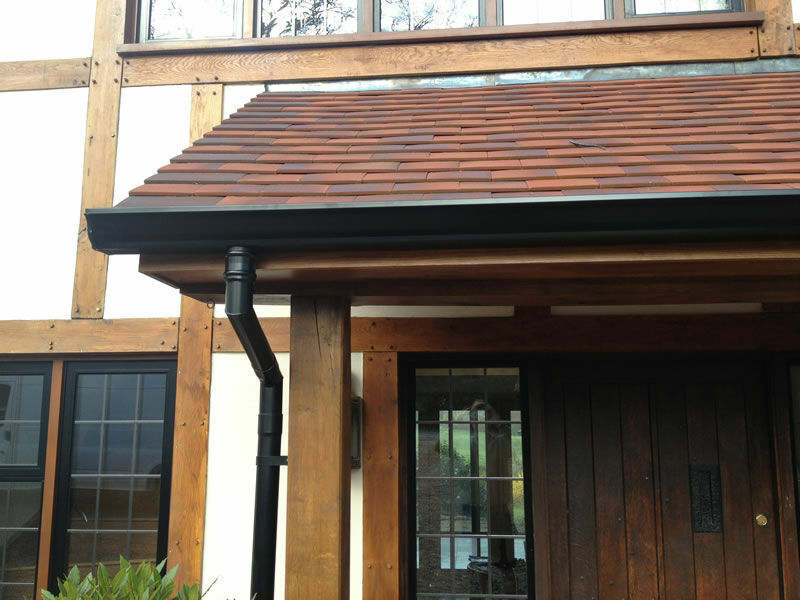 The modern sleekness of the aluminium compliments the traditional brick. 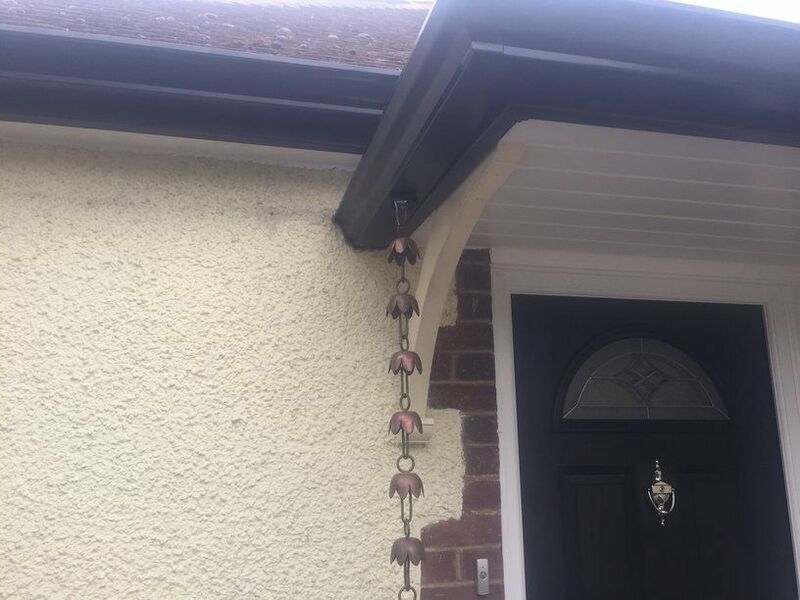 In this aluminium guttering installation, we used a “rain chain” instead of traditional downpipe. Our client wanted a traditional look to their property. 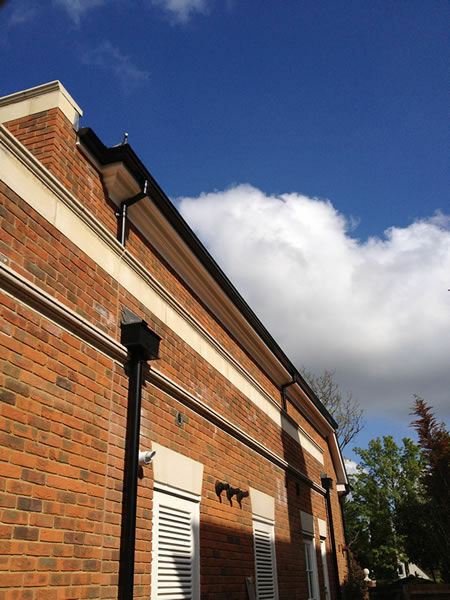 A house on the famous crown estate, with aluminium Downpipes to suit.